No matter which birthday you are celebrating (as long as it’s legal for you to be drinking) we are here to make sure that you have a fun time making cocktails and learning a bit about how cocktails are created. We all remember the thrill of being a kid, and getting the party organised by mum and dad. The invites would all be colourful and the paper plates would end up being piled high full of cake and jelly. We know now that birthday parties don’t happen without some planning. Book through My Cocktail Masterclass and we’ll take the hassle out of organisation your birthday celebrations. Just you relax knowing that your birthday event is in hand, and all is taken care of. Simple! This is certainly one of the harder presents to wrap into a box and hand over (well let’s face it, you can’t wrap up a bartender in wrapping paper and expect that they’ll be happy about it). But celebrating your birthday with a cocktail lesson in one of our superb bars will certainly give your group a night to remember. 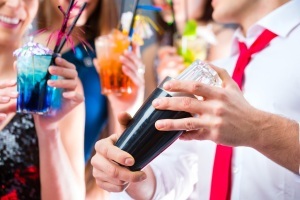 What is included in a cocktail making class? Our cocktail making packages vary, but by booking a Cocktail Masterclass for your birthday through us, you will usually enjoy a welcome drink, learn how to make 2 or 3 cocktails and of course drinking the concoctions you create. There will be lots of interactive fun and cocktail making games to play with your group followed by a shot (or two). Most of our cocktail making packages include finger food too or upgrade to a 2 or 3 course meal. So get in touch for more details. 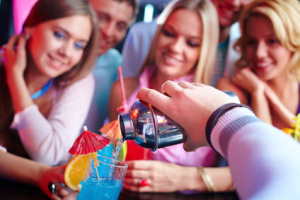 Your special birthday surprise will be filled with fun in this interactive cocktail class where you will have your own dedicated bartender giving you a guided tour of what’s involved. The lessons that we organise are for your group only and so they will not be any other people involved. This really is a great way to celebrate any birthday bash so no matter what age from 18 to… Well to be honest there is no upper limit. All you need is to enjoy cocktails and we will make sure you have a really amazing cocktail making class. Please check the fields to ensure we can create the best cocktail experience possible! Would you like to signup for our mailing list?